I LOVE finding creative ways to help people. Essentially, thats where the whole "Everyday is Chris Miss" concept came from. It's about finding creative ways to treat people like its Christmas( or whatever holiday you celebrate) -- all the time. We all go through things, and we can either let those things break us , or turn them into opportunities to help other people who may be in the same predicament. I am half African American and half Puerto Rican. A lot of people praise "mixed hair", but growing up it was the source of a lot of pain and self-hatred for me. My mom had a very different texture then I did , and back then , there wasn't even a fraction of the products and information that are available now. My mom, along with my aunts, and grandmothers (on both sides) tried their best , but no one really knew how to care for it properly. 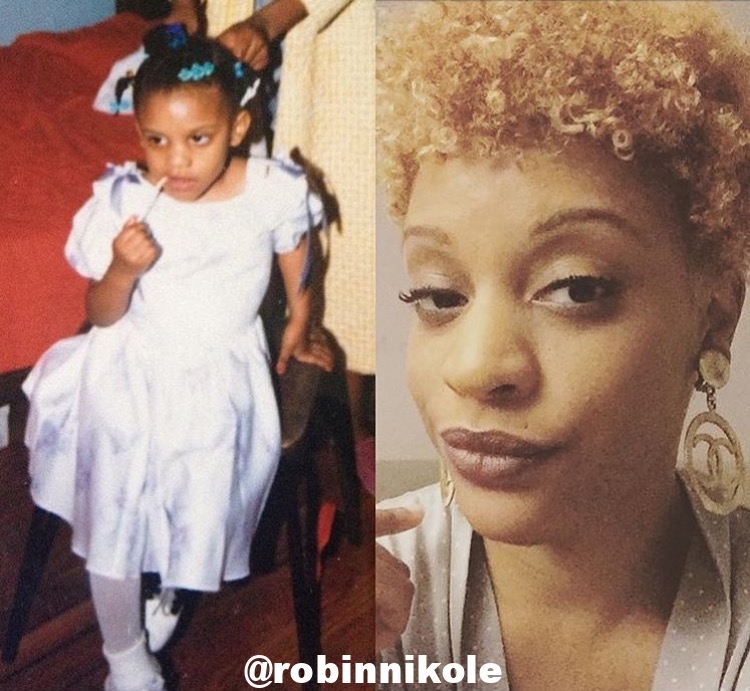 1st grade - 6 yrs old ( I actually LOVED this hairstyle! ) This is around the time I got my first perm...and I was HAPPY about it! I got my first perm when I was about 5 or 6. I'll never forget , my Abuelita had her friend do it for me in her garage . She had a salon chair and everything. I was excited about it. My hair was straight or "lacio" as my Abuelita would say. I absolutely LOVED my hairstyle in my 1st grade picture because that's how my mom used to wear her hair. For YEARS I got my hair permed. From the constant use of chemicals ,gels, and heat damage from curling irons , my hair suffered from a lot of damage. At one point, I remember wearing a denim "blossom hat" everyday to school for atlas a year! I didn't know how to verbalize it then , but what I did know is that my natural hair wasn't ok. Everyone was always doing things to change it from it's natural state. So, naturally I internalized that. I made up my mind that it wasn't beautiful...it was a hassle. There was no going out in the rain without risking it getting "messed up". All of my female cousins are mixed except for one. So by default , because she had the "good" hair she always got first dibs on the Pink Ranger , Arielle , or whatever lead character we were playing make believe with at the time. So, I asked myself - "How can I turn that experience into a positive experience for other little girls who are currently in the shoes I was once in?" That's how #LOVEisintheHAIR💛 was born ! At the initial event , happening 12.20.15 at the J.Onye Beauty Cafe in Union, NJ - 10 girls from the ages of 6-12 will be paired with 10 local hair stylists. They will get their hair done and receive gift bags containing enough supplies for the year , sponsored by Cantu, Camile Rose, and Shea Moisture. After the event , the little girl will be able to get her hair done by the stylist once a month(FOR FREE) for the 2016 calendar year. For more information about the campaign , watch my video below! To enter , post a picture of you now , alongside of you then (like these pictures below) on Instagram. 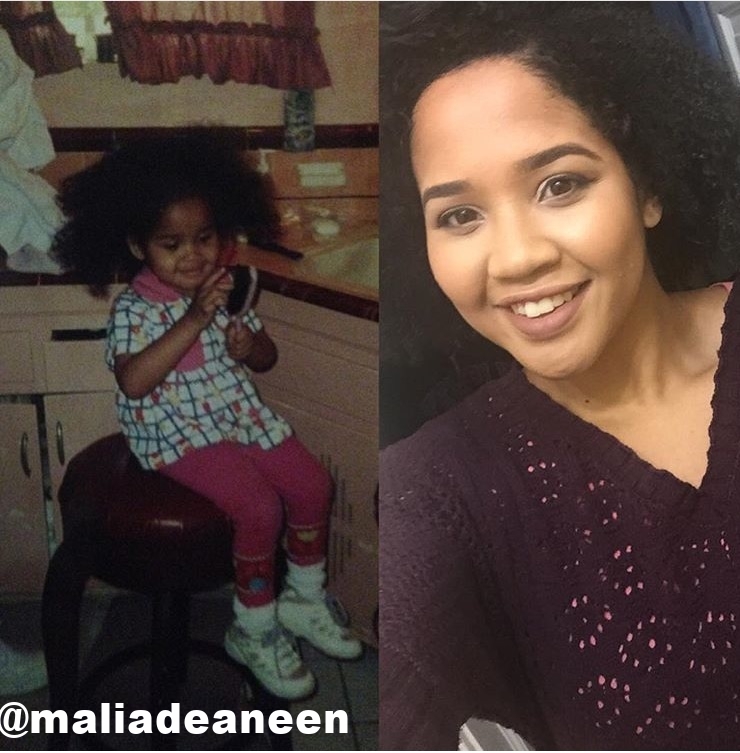 In the caption, share how your relationship with your hair has changed or stayed the same since you were a child , and why! Don't forget to hashtag your picture #LOVEisintheHAIR💛 Winner will win one of these full size Shea Moisture products! I can't wait to read your stories ! © Everyday is ChrisMiss 2015 | All rights reserved.